Welcome to Gold Coast Oral and Maxillofacial Surgery, a specialist surgical practice run by Dr Shannon Webber. We provide the most contemporary and comprehensive range of Oral and Maxillofacial Services on the Gold Coast. Your well-being, comfort and satisfaction are of utmost importance to our team. You can be assured of being treated in a highly professional, relaxed and comfortable environment. For your convenience, Dr Webber's services extend across the entire Gold Coast through to Northern NSW with three practice locations; Gold Coast, Tweed Heads, and Ballina. All locations have free parking available for your convenience. You have more than likely been referred to us by your General Practitioner, Dentist or another Specialist, so we ask that you please remember to bring any referrals or reports that you may have been given. If you would like us to speak directly with your referring practitioner to obtain this information please let our friendly reception staff know and we can arrange this for you. Most referrals (aside from soft tissue concerns) will also require accompanying radiographs. For most patients this is an OPG x-ray (full mouth x-ray). Please ensure that this is also brought to the appointment. For those who do not have an OPG x-ray, we can take one at the initial consultation at our Gold Coast location, or alternatively we can provide a referral for those patients going to Tweed Heads or Ballina. Upon arrival you will be presented with a medical history form to complete. For your convenience you can complete this in advance by clicking here to print the form. After your initial consultation with Dr Webber he will explain your diagnosis and treatment along with all alternative options available. You will have an opportunity to have all your questions answered in a relaxed and caring environment. Following the consultation, Dr Webber will direct you to one of our friendly treatment coordinators to obtain further information along with written quotes and post-operative instructions. Payment options will be discussed and appointments can be scheduled. The initial consultation fee will vary for each patient, please call our office to discuss this further. A Medicare rebate is available for all patients who have a valid referral. We deliver the finest care at the most reasonable cost to our patients; therefore payment is due at the time of your initial consultation (EFT, MasterCard or VISA). For patients with treatment scheduled in hospital, payment is required 1 week in advance to secure your booking (anaesthetist and hospital billing is done separately to ours). For treatment provided in our rooms under local anaesthetic, payment is due at the time of your service. If you have any questions regarding your account please contact us directly, many times a simple telephone call can clear any misunderstandings. Finding the funds or applying for finance can be daunting. For your convenience we also offer patient finance through MacCredit. Once approved funds can be easily transferred directly into your bank account within 24 - 48hours. MacCredit provides flexible payment plans for up to $60,000 specifically designed for the payment of all Cosmetic, Medical and Dental procedures. Repayments can be made for periods of up to 84 months. Fast efficient approvals. MacCredit is ideal for procedures not covered by insurance or where there is a “gap” between insurance cover and the cost of the treatment. 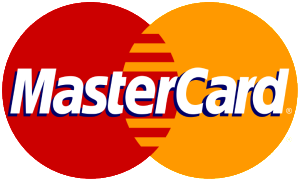 To go directly to the MacCredit application click here. **Whilst we are able to offer patient financing options through MacCredit Gold Coast OMS does not hold any financial interests in MacCredit. All contractual agreements are between the patient and MacCredit, and are on an individual basis. At Gold Coast OMS we make every effort to provide you with the finest surgical care and the most convenient financial options. We will work hand in hand with you to maximise your insurance benefits for covered procedures. Cherie, our knowledgeable Treatment Coordinator, will be more than happy to answer any questions you may have. Please remember to bring your health insurance information with you to the consultation appointment. If you have travelled a distance, have an urgent case, or have time constraints, Dr Webber can, on occasion, perform treatment the same day as the consultation. This issue needs to be raised with the staff during the time of booking the appointment to allow sufficient time to be put aside for Dr Webber. It also depends on whether the procedure is straight forward and can be performed in the rooms under local anaesthetic. Medications taken can also impact on whether treatment can be performed on the same day. Please bring a list of all current medications to your appointment. Dr Webber will ultimately make this decision at the time of booking. If you have any further questions, or would like to schedule an appointment please contact us via email or call 07 5527 8858.